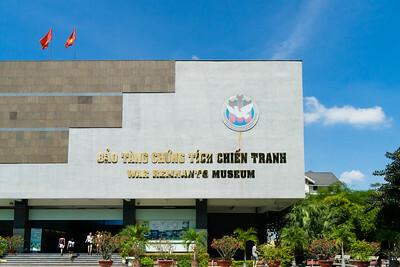 The War Remnants Museum tells the story of the Vietnam war, Saigon. 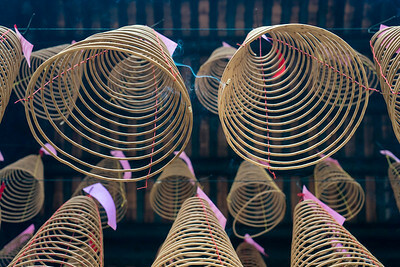 Spiral incense coils hang from the rafters at Thien Hau Temple, Ho Chi Minh City. 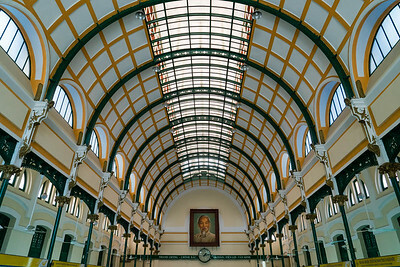 The Central Post Office in Saigon was designed by Gustave Eiffel. 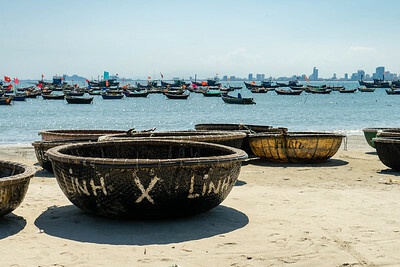 Traditional circular fishing boats sit on the beach in Da Nang. 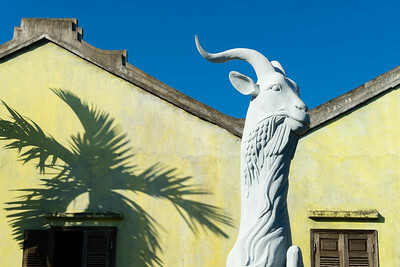 A goat and dragon chimera statue sits in the garden at the Phuc Kien assembly hall in Hoi An. 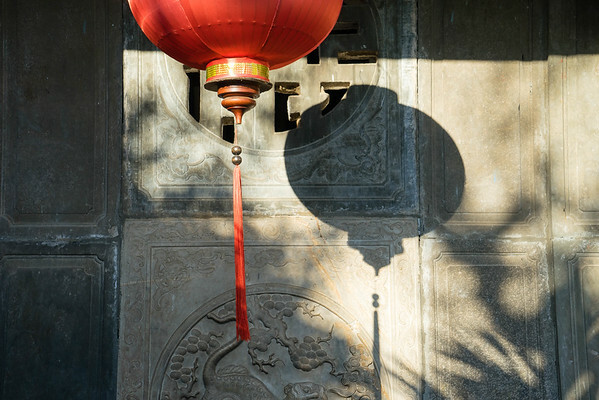 Traditional Chinese lantern, Hoi An. 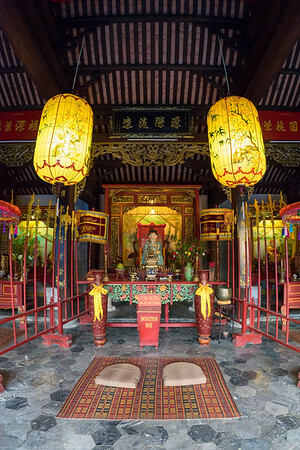 Central shrine at the Hoi Quan pagoda in Hoi An. 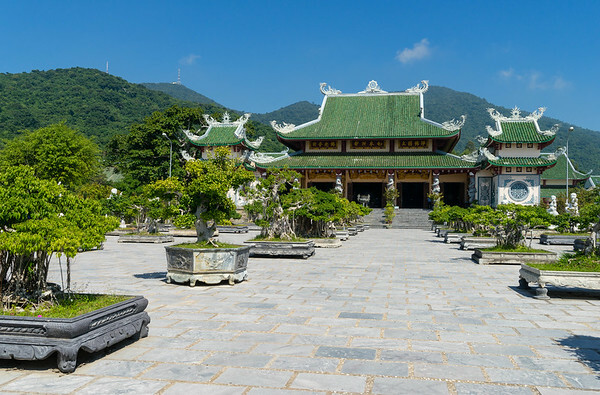 The Linh Ung Pagoda atop Monkey Mountain just outside Da Nang. 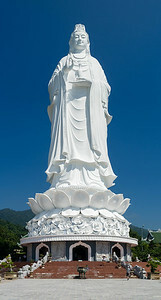 The 67 meter tall Lady Buddha at Linh Ung Pagoda in Da Nang. 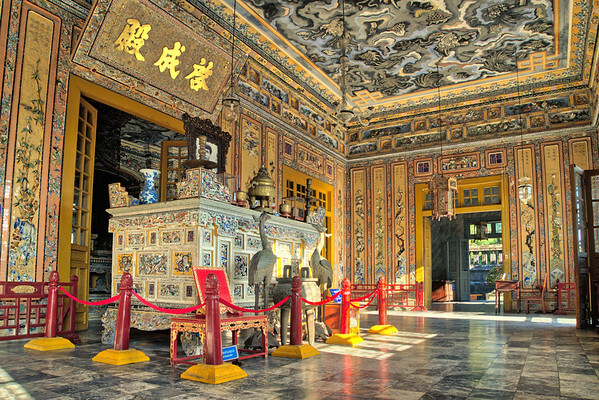 The entrance hall to Emperor Khai Dinh's tomb outside of Hué. 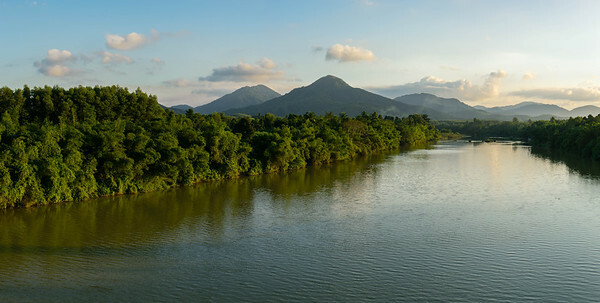 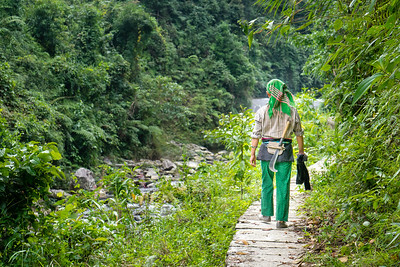 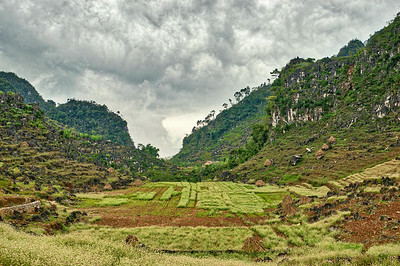 The Huong river outside of Hué. 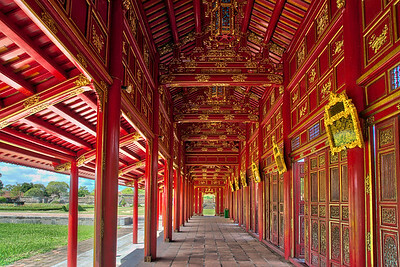 A restored hallway at the Royal Palaces in Hué. 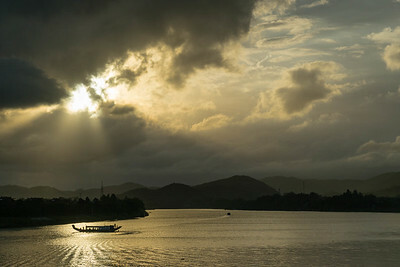 A tourist boat heads downstream after visiting royal tombs along the Huong river. 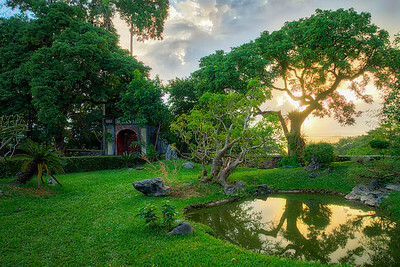 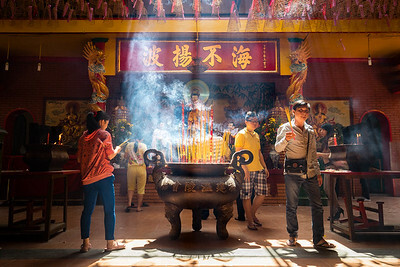 The sun sets beyond the walls of the Thien Mu temple in Hué. 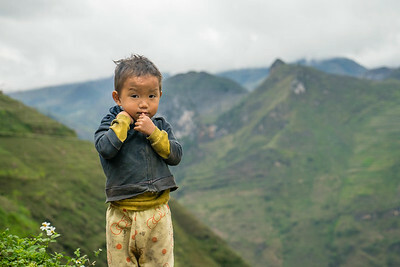 A young Hmong boy poses for the camera near the China-Vietnam border. 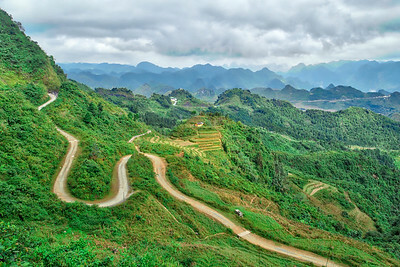 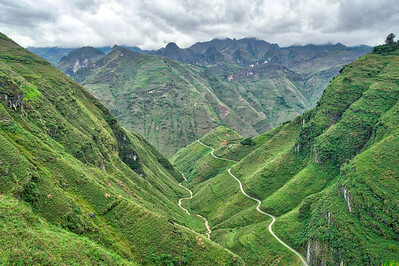 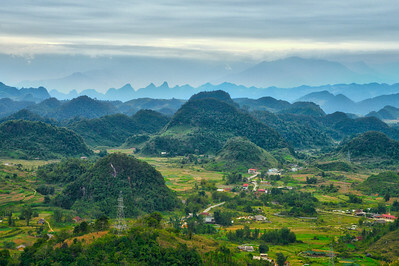 Karst peaks cut like teeth into the fading light in Ha Giang province. 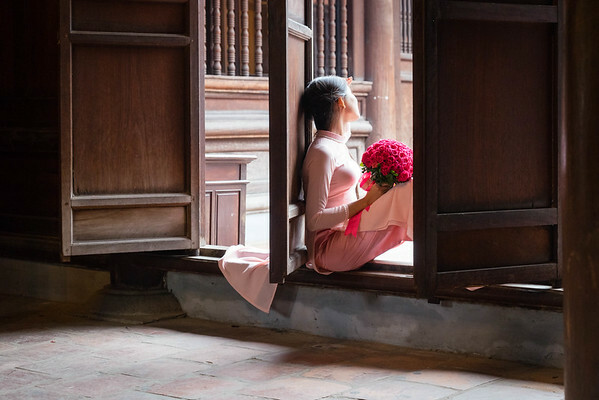 A girl poses for her university graduation photo at the Temple of Literature in Hanoi.